Currier & Ives, 152 Nassau St N. Y, 1860. Louis Maurer, 1832-1932, “The National Game. Three "Outs" and One "Run". 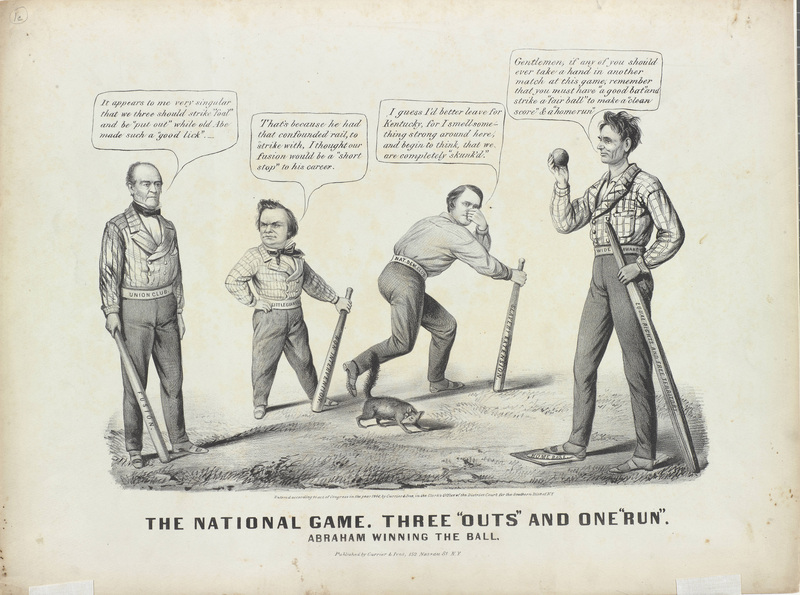 Abraham Winning the Ball,” Lehigh University Omeka, accessed April 25, 2019, https://omeka.lehigh.edu/items/show/3592.